When Milan were wearing the red and black last week, they seemed unstoppable. Meanwhile, Shkëndija, wearing their white jerseys seemed harmless. This week, Shkëndija were wearing the red and black, and were a completely different team, with a lot more chances and a much improved defense. On the flip side, Milan, while wearing the white kits, almost seemed like Superman’s kryptonite, they were so much worse tonight than last week. So it seemed, at least for this tie, that the team that were powered by red and black played best. 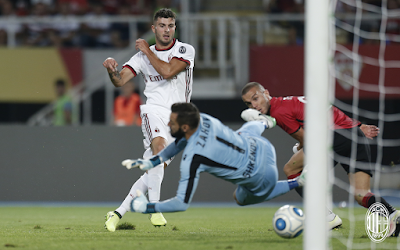 So in the 23rd minute, Locatelli sent a beautiful ball up to Cutrone, who controlled it and scored to make it 1-0 Milan, 7-0 on aggregate. And that is all you need to know about this match. 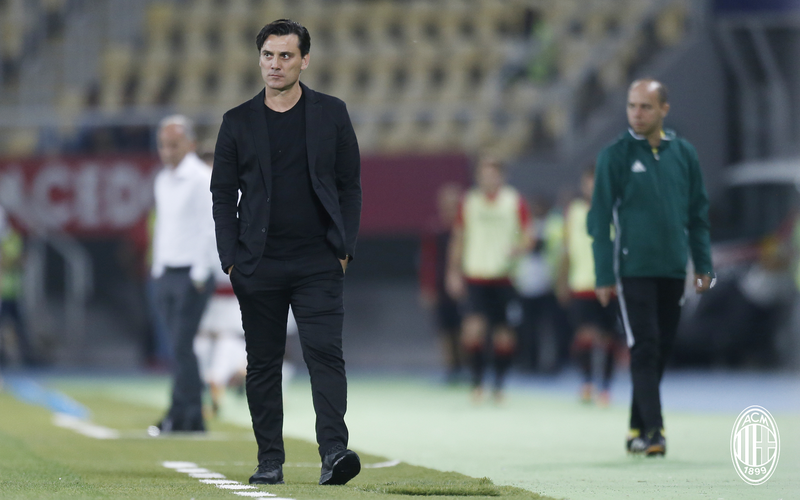 The team started out weaker, not only because Montella lined up much weaker players, but also because he tried the dreaded 3-5-2. It was every bit as bad as you would think, if not worse. And it got worse as the match dragged along. Romagnoli was poor on his first match back, and subbed at halftime. Several younger players tried to impress but showed their naiveté, while few players really showed much of anything. Was it the fatigue already? The travel? The lack of playing time? The tactics? Or was it the white kits? "I keep having these recurring dreams with 3,5,2 in them. What do they mean?" Hats off to Shkëndija, they played a much better game, threatening on many occasions and testing Storari’s rusty gloves, albeit unsuccessfully. But in their empowered red and black kits, they played much more like the team I was told they were, and much better than Milan, actually. The most important thing is that Milan won, 7-0 on aggregate. Which puts Milan through to the group stage, which means MILAN ARE FINALLY OFFICIALLY BACK IN EUROPE!! But let’s hope that they can draw on more than the power of the red and black kits from here on out.